My Cherokee Purple heirloom tomatoes are finally ripening. They look a bit different than the standard tomato. They have green shoulders, but are still ripe. The red is a deep, dusky hue instead of just red, red. They have a complex flavor that you have to try to really understand what I mean. The smell is just incredible! This year I grew Rutgers, Delicious, and Cherokee Purple. All three are considered heirloom. I think of the Cherokee and Delicious as more so than the Rutgers. The Rutgers was developed in the 1940s so it is old enough to be considered heirloom. When you buy the plants, heirlooms cost no more. Many times, when you buy the seeds, heirlooms have more seeds per packet. I love when the tomatoes are ready. Time to make salsa- fresh and canned. Can tomatoes for the coming seasons. This is a summertime favorite for my daughter and I. 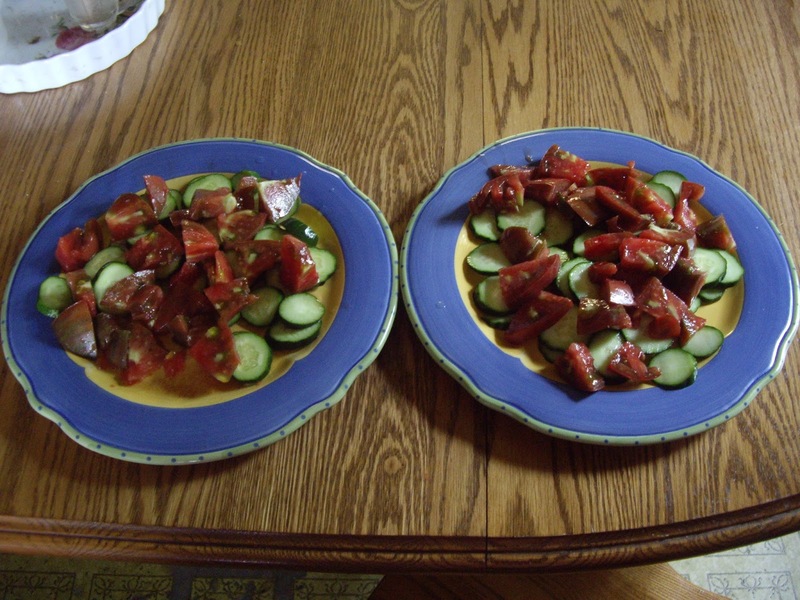 We slice up some tomatoes and cucumbers, sprinkle with salt and enjoy! Do you have a favorite kind of tomato? Do you have a favorite was to eat them? 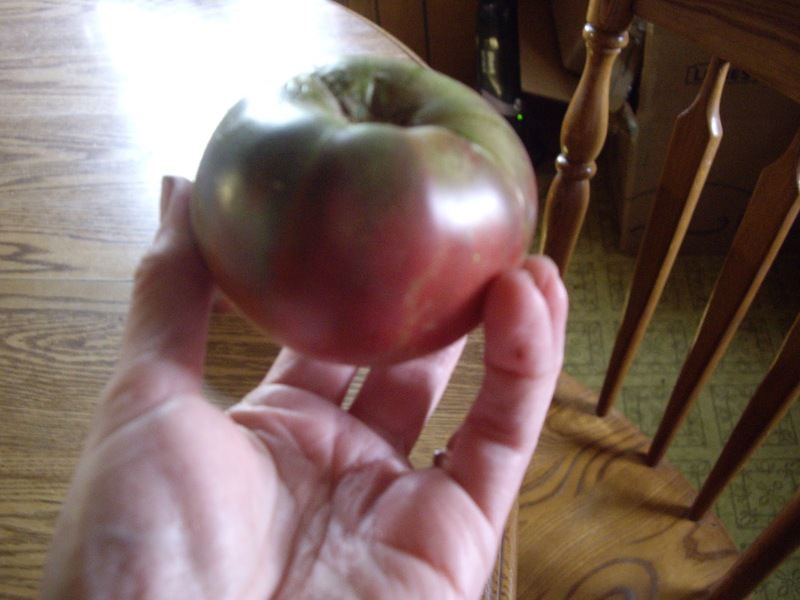 Yes, I love heirlooms, wish I could grow them, but a) not room, and b) always away at the time they ripen. Make toast, whilst hot rub it with garlic and sprinkle a tsp of olive oil, top with thinly sliced tomatoes and season. Deelicious. If you want to go further add some cheese, I like Havarti, and broil. That sounds really good, Jo. When I was younger, I used to make grilled cheese and put a tomato on it. I will have to try it your way. If you weren't away, I'd suggest maybe growing one in a pot. Coffee Lady, isn't the growing season great?